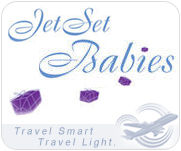 Phuket Baby Rentals is the largest baby equipment rental agency in Phuket, Thailand. We provide everything a parent or childcare professional would need to ensure that their child's stay in Phuket is as comfortable and pleasurable as possible. We understand how hard it can be to travel with small children. Phuket Baby Rentals was established by experienced parents who also have over ten years experience working in the customer service/resort industry. 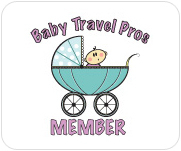 Being regular travelers to Thailand we grew fed up with having to struggle with bulky strollers and portable cribs etc., and so we recognized the need for a quality baby equipment rental agency located throughout the Kingdom. Our experience combined with the knowledge we have gathered from working with other moms and childcare professionals has ensured Phuket Baby Rentals' continued success. Our high standards and excellent service record has seen the business flourish and it continues to expand with other branches opening all over Thailand. Your child's care and wellbeing is very important to us and so all our equipment is sanitized and safety inspected before it goes out on rental. Each item is monitored for safety recalls and all worn or faulty items are immediately replaced. We only use non-toxic, allergy free cleaning products and when cleaning, we employ sanitization procedures as recommended by leading health care authorities. All portable crib rentals come complete with a bedding package that includes bottom and top sheets, and a high quality, comfy mattress. We stock only high quality brand named products that are clean, safe and comfortable. 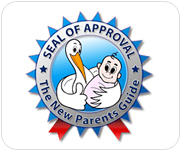 We feature equipment for every age of baby and toddler and carry many of the items your child will be familiar with from home, such as pack and play cribs, full size 'bigger baby beds' and playpen sleepers, car seats, car booster seats, strollers, high chairs, training potties, bathtubs, jumpers, swings, safety bed rails, safety gates, baby monitors, bouncy seats, exersaucers, fun toys and much more! Free delivery anywhere in Phuket! Phuket Baby Rentals delivery area covers the entire island of Phuket. We service areas such as Patong, Kamala, Kata, Karon, Surin, Rawai, and everywhere in between. Subject to a minimum order, we will deliver directly to residences, resorts, hotels, guesthouses, apartments, car rental companies and the Phuket Airport. In most cases the equipment you hire will be assembled and awaiting for your arrival and we will arrange to collect the items prior to your departure/check out. Phuket Baby Rentals is here to make your stay more enjoyable. We look forward to serving you and welcome any feedback and suggestions.